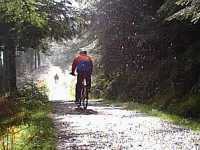 The Fun Trail is the easiest route in the Forest covering some 11km, all of the route is on forestry gravel roads. 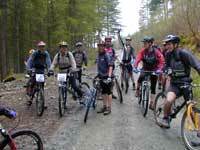 This route is suitable for novices and is a good introduction to off road riding. The route is not suitable for young children under 10. Follow the yellow way-markers, and expect to take nearly 2 hours to get round the trail, there are two short cuts which reduce the ride to less than an hour.